Michael W. MagdyczIn the first of a three-part series on leading across borders, we focused on maximizing the value of an international alliance. This second article dives more deeply into a major factor in that equation: the ways in which country-level leaders approach governance and decision-making. Given the pivotal role played by alliance leaders in each country, their ability to successfully manage these critical components will go a long way toward realizing the full value of the international partnership. They ensure that their teams prepare them thoroughly for governance meetings. They avoid a laissez-faire approach and work to maintain equilibrium in the relationship. They maintain strong operational oversight. Not coincidentally, the best country-level leaders also consistently demonstrate strong performance in their respective alliances. In Greek mythology, Atlas is condemned to hold up the heavens for all eternity. Although alliances do not quite achieve the level of the “heavens” and no one would suggest that supporting them is an undue burden, alliance teams need to “be the Atlas for their leadership” when preparing for governance meetings. Strong preparation to support well-informed decision-making creates value for the companies involved and, ultimately, for the customer. The best country-level leaders ensure that this is the case. The goal of preparing for alliance governance meetings is to: a) identify the issues b) ensure adequate preparation for decision-making, and c) strategize on how you will advance the alliance and create value for all parties. How many times have I been surprised in an alliance governance meeting? How many times have I felt I was making a decision about the alliance without necessary information? How many times have I let the partner have their way simply to avoid conflict? While governance meetings may contain unexpected developments, most of the time there is no need for surprises. If you find yourself routinely caught off guard by an issue or a new development, you should be asking your team why. Then you might want to probe a little further. Is your team engaged enough with the partner, and at the right levels? How often does your team meet in person with the partner, both formally and informally? How can your team work differently to gain understanding and insight into the partner? Having the right level of pertinent information is also important. It’s a given that leaders need to make decisions from time to time without having all available data. We sacrifice having all of the information to gain the advantage of speed. In an alliance, strong leaders strive to understand both sides of any issue, especially the perspective of the partner. Teams should prepare their leadership with the respective points of view side by side. There have been instances where a particularly strong alliance leadership team declined to discuss a topic, instead sending it back to the working team because the respective functional partners had not done their homework to codify the different points of view. Leadership should also determine whether there are any secondary or tertiary consequences to a course of action. Such potential consequences should be discussed in advance of governance meetings to inform effective decision-making. What is the impact on the overall alliance’s business? What is the impact on my company’s business? What is the partner company’s view? What does the contract provide in terms of guidance? Are there secondary or tertiary consequences to the decision under consideration? Armed with the answers to these questions, leaders will be prepared for successful governance meetings. They can weigh the pros and cons, identify any secondary or tertiary consequences, and make an informed decision. Whether kicking off a new alliance or inheriting one through a change in leadership, maintaining equilibrium in accordance with the contract is important in international alliances. The best leaders make maintaining equilibrium a priority. Let’s face it: on the surface, it is a lot easier to adopt a laissez-faire approach than it is to ensure equilibrium in an alliance. Let the other company do the work, avoid conflict, and everything will be ok—and if you let the partner firm do almost everything, your team can focus on other business priorities. It is easy to imagine a circumstance where one party’s laissez-faire attitude swings the pendulum of influence almost completely to the other side. Most of the time, the lack of equilibrium is enabled by the party that abdicates responsibility. In most cases, the fact that one party has more control is not their fault; someone needed to take charge to move the alliance forward. Of course, in the absence of balanced leadership, there will be imbalanced leadership. Maintaining equilibrium at the governance level engenders an “alliance team” approach, maintains mutual respect, and is a motivator for the teams executing alliance objectives. The approach to maintaining equilibrium is important even if final decision-making authority is ascribed to one company in the contract. The best alliance leaders exert influence over those items within their control. Maintaining a healthy equilibrium in an alliance is not restricted to large issues or final decision-making. In fact, keeping the relationship on an even footing in smaller ways is just as important. Have the companies alternate on taking meeting minutes, for example. Alternate the meeting venue, or choose a neutral location. When the meeting is at your company, you can take the minutes; when you meet at their site, they can take care of it. Send out joint intercompany leadership communications, not separate intracompany releases. These kinds of actions show that you are willing to lead by example and model the partnership mentality. Underlying a strong partnership mentality is the understanding that the best alliance leaders help themselves. They ensure their understanding of their rights, obligations, and expectations under the contract. They understand the human risks, business risks, and legal uncertainties.1 They consult with their alliance director if they have questions. By embracing these responsibilities, the best leaders are able to move forward with confidence in their ability to maintain alliance equilibrium. Alliances succeed when teams are able to leverage the strengths and contributions of each partner company to provide even greater benefits to customers and the business. If that is the case, why are we often anxious when conflicts arise? Why do we avoid conflict? It is important to remember that different viewpoints and different skill sets are what brought the partners together in the first place.3 The alliance has much more to gain than to lose if the different points of view can be explored and directed appropriately. Step #1: Fully understand the event. Step #2: Understand your own filter as well as the other party’s in order to understand the meaning both parties are ascribing to the event. Take time to really listen to your partner. Ask open-ended, unbiased questions. Find out why that person believes what they do about the events that took place. How are they interpreting the events? Really listen. Step #3: Your goal should be to move toward a more shared meaning of the event, and consequently toward a mutually acceptable path to a solution. Free yourself from the anxiety of conflict. Instead, view constructive conflict as a way to make the alliance better. The best country-level leaders maintain strong operational oversight within governance meetings and vis-à-vis their own company’s actions to benefit the international alliance. These leaders routinely review and act upon core metrics in country-level governance meetings. They review the details of sales force metrics, spending on commercial operational expenses, programs, finances, competition, etc., and discuss the findings and areas for improvement with their partner. These leaders know that in an alliance, respecting the alliance is about respecting its performance and acting upon issues that can help create more value for the customer. These leaders also recognize that agreements made within an alliance are different from company-specific decisions. Company-specific decisions are relatively easy. You discuss an issue within your firm, make a decision, and then move on. Verbal agreements work quite well because the chance for intracompany misinterpretation is minimal and the intent is well understood. An alliance is different. Good leaders thoroughly document discussions in meeting minutes to ensure clarity in case leadership changes and to ensure the agreements and actions are explicitly understood within both companies. No matter how cordial the alliance relationship may be, these leaders resist the urge to keep agreements strictly to a handshake and verbal agreement. They write their agreements down and store the meeting minutes in a repository where they survive any changes in personnel, for easy reference if necessary. Effective leadership at the country level is critical to the overall performance of an international alliance. By preparing well for governance meetings, working to maintain equilibrium in the Alliance, embracing constructive conflict, and maintaining strong operational oversight, a country-level alliance leader can greatly enhance both the probability and the magnitude of an alliance’s success. 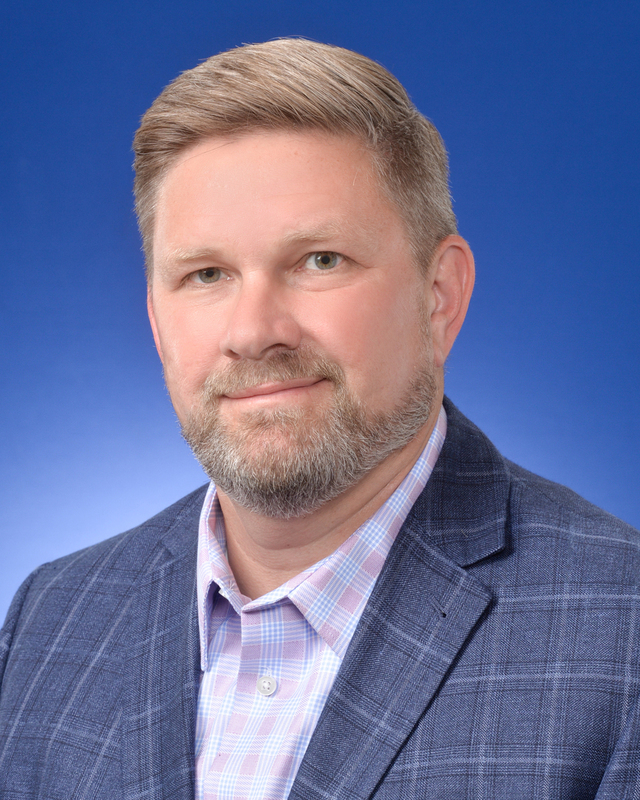 Michael W. Magdycz, R.Ph., CA-AM, is director of alliance management at Eli Lilly and Company, where he directs international alliances and oversees country-level alignment of international alliance commercial resources.